OUR OFFICE HOURS ARE CHANGING! AS OF 01/17/19, HOURS WILL BE 8:30-5:30 MONDAY THRU THURSDAY, AND FRIDAY FROM 7:30-NOON! PLEASE MAKE A NOTE! Our office is conveniently located in the Central Phoenix area right across from the Light Rail Station on Camelback Road just west of Central Avenue. 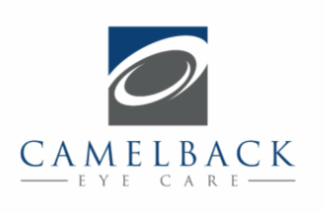 It would be our pleasure to be your choice for Complete Family Eye Care. In our optical gallery you will always find a large selection of fashionable and designer frames for your prescription eyeglass needs as well as a great variety of prescription and non-prescription sunglasses and protective eyewear for the needs of all family members. Our knowledgable team enjoys helping our patients pick out frames that are fashionable, functional and suited to each individual patient's needs.